This spiral bound format features maps that are 35% bigger than those found in Rand McNally’s standard Midsize Atlas. 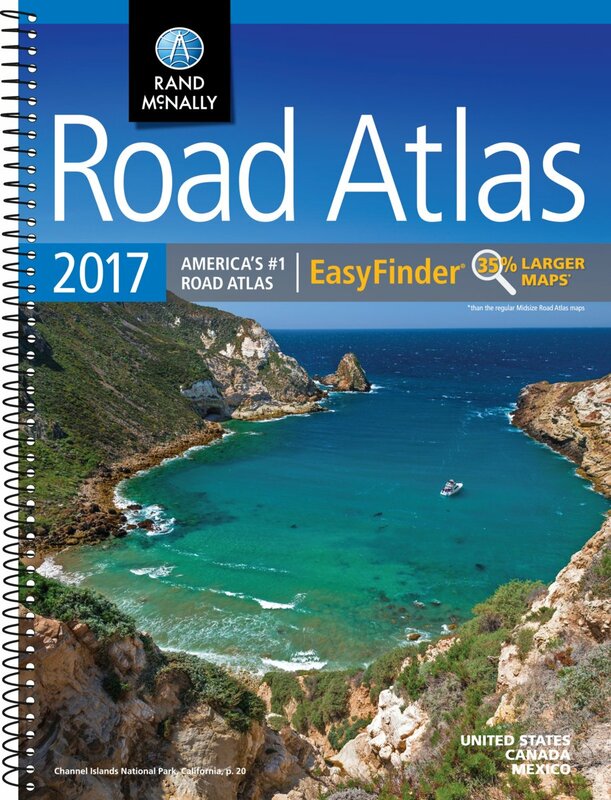 This updated North American atlas contains maps of every US state and Canadian province, an overview map of Mexico, plus detailed maps of over 50 North American cities, all conveniently packaged for travel. Contains mileage chart showing distances between 77 cities and national parks with driving times map. Spiral binding allows the book to lay open easily.